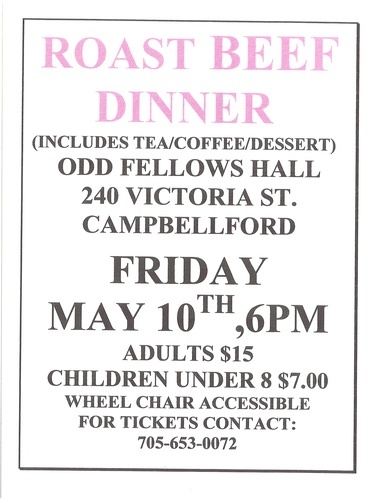 The Odd Fellows are hosting a Roast Beef dinner which includes tea/coffee and dessert. Adults are $150 and children under 8 are $7. Wheelchair accessible.